There are so many gadgets and devices we use today to make our lives easier. 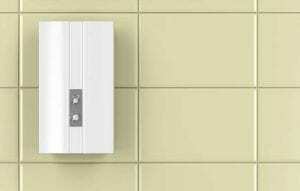 However, most people consider a functioning, dependable water heater a necessity. Indeed, cold water showers are no fun at all! When you’re suffering with no hot water, you don’t want to endure it for long! If you have no hot water, Conyers Plumbing can help! No need to bear that cold shower a moment longer! Call Conyers Plumbing today, and we’ll thoroughly inspect and diagnose your water heater problem potentially saving you money, so you don’t purchase products or services that you don’t need! We at Conyers Plumbing pride ourselves on being a dependable company you can trust! After assessing your water heater issue, we’ll recommend a water heater that fits your budget and your existing home plumbing. Then we’ll show you the Conyers Plumbing difference as we address your water heater issues quickly, efficiently and affordably! Water heater installation should be done by a professional, trained plumber. Our experienced plumbers are trained and will ensure the water heater is the right size for your needs and that it is installed properly. Conyers Plumbing offers water heater repair and maintenance too! Finding yourself with no hot water can sometimes be as simple as replacing an element or thermostat.